Blue haired Katy Perry for Teen Vogue Magazine. Mo'Cheddah, Diva, Mo lenu gan! Covers Style Mania Magazine looking overly beautiful. 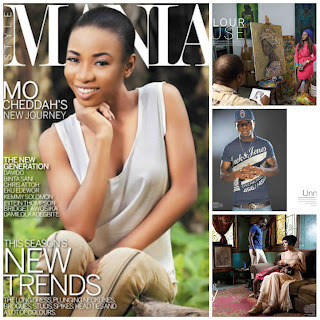 Inside the magazine features of Superstar Davido and many more. R-R-Rihanna! Covers Elle Magazine - May Issue. Talks about one of my favorite artists, Chris Brown. 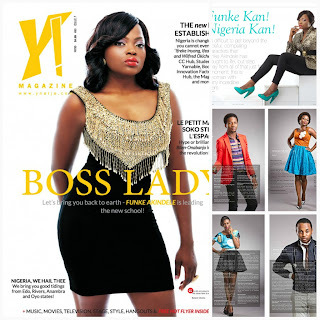 Nigeria's BOSS Lady, Funke Akindele covers Y! Naija Magazine. 'Jenifa kan, Ayetoro kan' awon eleyi wan badt gan! Ooooshey! 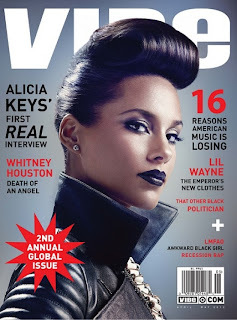 Queen of Soul, Alicia Keys graces the cover of Vibe Magazine - 2nd Annual Global Issue! BOOM! Black girls killin' it! Reality TV Star, Evelyn Lozada is in Kontrol of this magazine cover right here. Watch them curves though! Evelyn's not playing withcha!